Chet Haase has finally published is new article on timing and animations. This article introduces the new features in his Timing Framework. Among those you will discover property ranges and non-linear interpolation. Property ranges let you easily animate Swing components. For instance, you can ask the framework to change the background color of a JButton from blue to red over 400ms at 60fps. It's really great and better stuff are on their way. 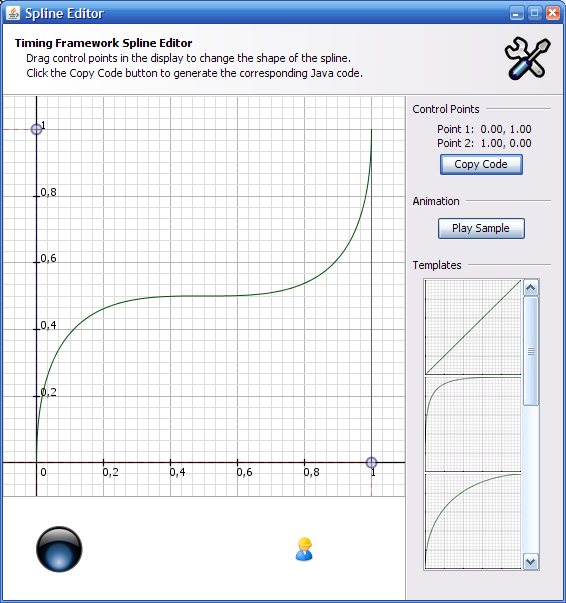 Speaking of the Timing Framework, you can take a look at the Spline Editor (WebStart) I wrote. It lets you defined splines you can use for non linear interpolation in the framework. The editor actually uses the framework to play some effects. Last but not least, Swing Sightings #23 has been released. It contains a lot of cool Swing applications you ought to try. Enjoy! 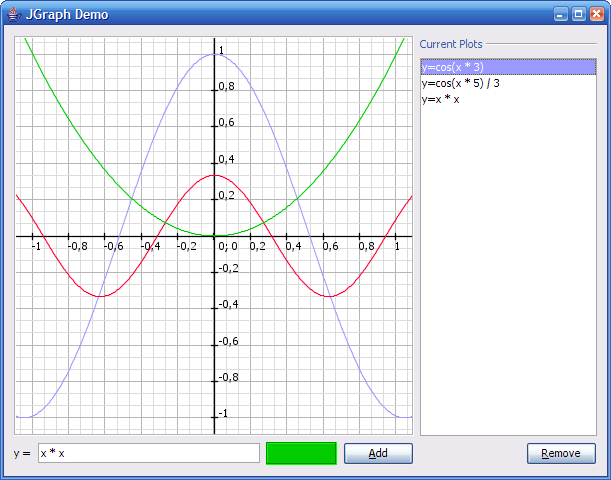 I love the Spline Editor, very smooth – is the source available somewhere ?